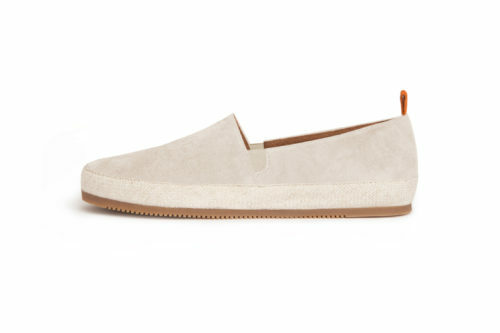 Our loafer style unstructured, unlined with a collapsible back. Features two styles in one : the flexible heel can either be pushed down or worn upright. A valuable edition to your vacation wardrobe, carrying you from daytime casual through to evening high style. 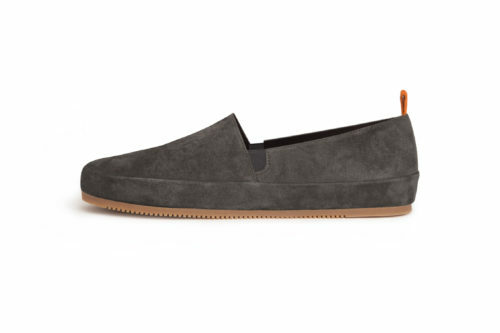 Crafted with soft supple suede for ultimate comfort and folds flat for easy carry on. As featured in Esquire. 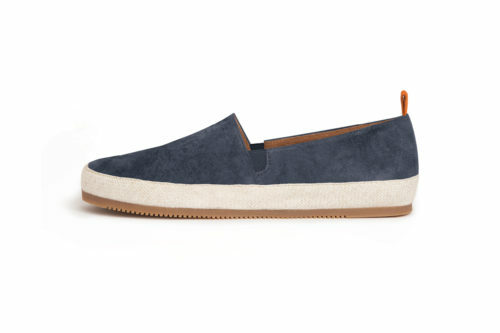 The suede leather footbed has cushioned support and is perforated for breathability. We use an Oxford last to inform the streamlined silhouette.